That’s right, it’s me, Marc Hershon. Your host and all-electric vehicle for Epi138 of Succotash, the Comedy Soundcast Soundcast. NOTE: If you haven’t been here the past couple of episodes, we’ve started a campaign to change the generic use of the word “podcast” to “soundcast”. 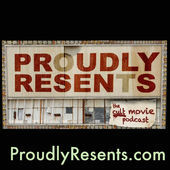 (I realize that this gets a little sticky for those shows that pretty much officially have “podcast” in the name. 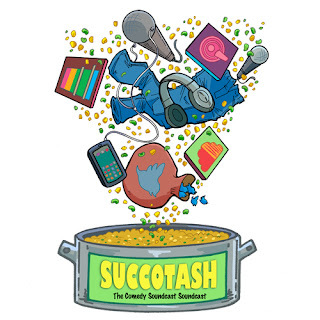 The word is part of our logo design here on Succotash and for the past 5+ years, we’ve been THE Comedy Podcast Podcast. But the name is anchoring the medium to a single device – the iPod from Apple – so I want to throw it back wide open with the new designation soundcast. Our announcer Bill Heywatt is supposed to be cutting new intros and outros for the show to reflect the name change, but our engineer/producer Joe Paulino has had a computer meltdown at Studio P. So until he gets things back up and rolling we’re stuck with the old P-word in the open and close to the show. First of all BIG news! BIG BIG News, in a way – it really isn’t going to change anything as far as I know, but Succotash is now available for your listening pleasure through the I Heart Radio chain, network, thing. It hasn’t required us to do much, as far as I can tell but we are on there! Potentially MILLIONS of new listeners can now avoid us. Just go to IHeartRadio.com and search for Succotash OR click this link! I’ve got a couple of live appearances coming up. If you’re in the San Francisco Bay Area, I’m going to be part of the 40th year reunion show of Spaghetti Jam, which was a really popular improvisational comedy show in San Francisco starting back in the 1970s. We’re gettign as many of the people that we can find that can still move most of their limbs to show up for this. It’s on Sunday, September 11th – that’s right, 9-11, best date for a comedy show ever, at the Throckmorton Theatre in Mill Valley. You can go to http://142ThrockmortonTheatre.org for tickets and information. And then later in the month – September 23-25 – I’ll be at the 5th Annual Los Angeles Podcast Festival. I’m hosting the Journalism and Podcasting panel on Sunday afternoon at 2 PM, but the rest of the time, I’ll be set up in the Podcast Lab with my equipment doing interviews so stop on by and let’s chat! Back to business. This is another installment of Succotash Clips, and it’s chock full of tasty snippets of soundcasts and podcasts from all over the web. I clipped a couple, our associate producer Tyson Saner grabbed a few, and we also have some uploaded directly to us using our upload link: http://hightail.com/u/Succotash. 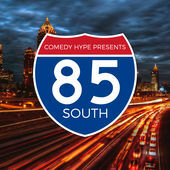 In alphabetical order, we’ll be hearing from Dark Journey, Dazed & Convicted, Dino & Andy’s Skull Juice, Drinking In The Park,Lesser Known Somebodies, Proudly Resents, Spirits, Tao Of Comedy, and The 85th South Show. 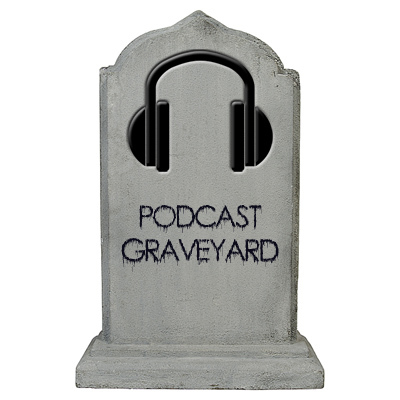 We also have a visit to the Podcast Graveyard to hold a clip seance with a soundcast from the great beyond. Plus a Burst O’ Durst from our friend, political comedian, and social commentator Will Durst. We also have a little ditty for our pal Abner Serd. Not to mention a Scrooge McDuck–style dip into the Tweetsack. This episode of Succotash Clips is brought to you by Henderson’s Pants. If you’re in the market for fictional pants that fit like a dream and don’t really exist, you should get yourself a pair of Henderson’s Pants. Just the opposite of the challenge of Spirits is what I’ve got going on with a show called Drinking In The Park. The hosts are Neil and Johnny, per their direct upload to Succotash, with no last names. But they sent me the whole episode Issue 10, Live At Toronto Comicon. Not a clip, but almost 10 minutes of chat and music stuff. Still better than a promo! I sliced out a few minutes of them talking to some joker who calls himself That Joker Guy. 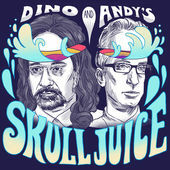 This podcast has a pretty grim origin story. The host, Kelly Maclean, had been at last year’s Just For Laughs festival in Canada, where she interviewed a number of comedians. Four months later, her brother Andrew was killed in a car accident. 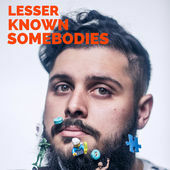 The conversations she had in Montreal were the things that brought her back from crushing depression and so she’s launched the podcast in order to continue that kind of deep interchange with funny people. In this clip from Epi10, she’s talking to Brad Williams, standup and co-host of the About Last Night soundcast. 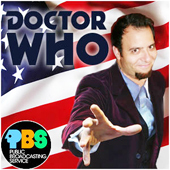 In the 5 years that I’ve been running Succotash, comedy writer Caleb Bacon has had two very listenable soundcasts. 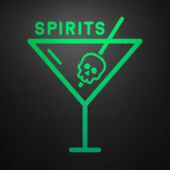 The first was called The Gentleman’s Club which took a podcast dirtnap at the end of 2012. A few months later, Caleb was back with more of an instructional soundcast called Man School, in which he talked to guys from various walks off life, although most were somehow connected to show business, and he’d get their story about some deep subject matter. A little over a year ago, in June of 2015, the last known class of Man School was in session. The clip we're featuring is from a few epis before that one, #83, with Caleb and his guest comic, writer and fellow podcaster Mick Betancourt (The Mick Betancourt Show), talking about life as a sober alcoholic. The latest ditty from our friend Abner Serd celebrates the "season" of county fairs. Special thanks to Abner for joining our "Soundcast Movement"! SUCCOTASH CAN USE YOUR HELP! There are a number of things you could do that would help us out in making sure that Succotash continues. First and foremost would be your kind indulgence to head over to iTunes to both rate and review us favorably (AKA 5 stars, please!) Our Donate button is clickable 24/7 at http://SuccotashShow.com, and we have now taken the limits off of how much you can give. That’s right! The sky’s the limit for you listeners who have been holding back because you were afraid you couldn’t give enough. While visiting our homesite, feel free to also click the Amazon banner at the top of the page (although I just learned recently that it may not be working properly if you browse with Google Chrome.) 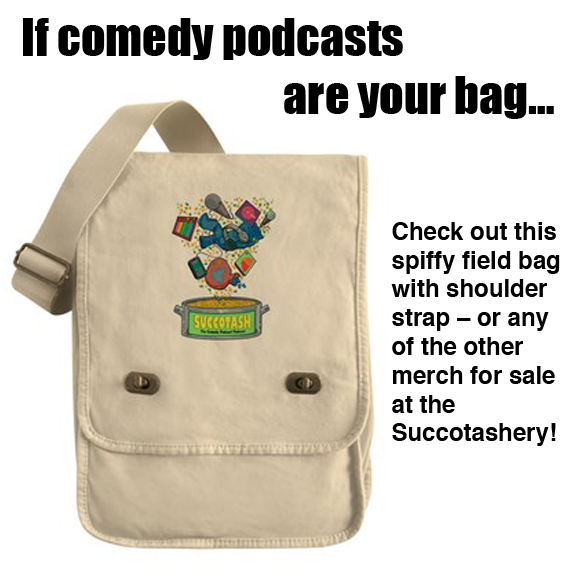 And for those of you who enjoy wearing t-shirts and sweatshirts, or dig drinking your hot beverages from a porcelain mug, we also have merch at the Succotashery, accessible on that very same homesite. Yes, it’s me. Marc Hershon. Your host and fully articulated artificial resuscitation dummy for Epi137 of Succotash, the Comedy Podcast Podcast. Or The Comedy Soundcast Soundcast, as the case may be. 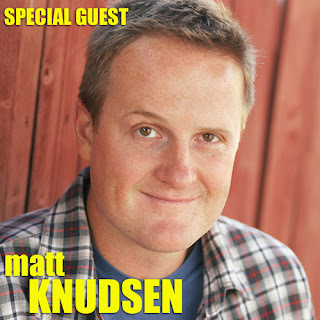 This time around we bring you an edition of Succotash Chats, featuring my interview with Matt Knudsen — comedian, actor, bon vivant, and host of the Grabbing Lunch podcast. Matt was kind enough to have me and Cole Stratton, co-host of the Pop My Culture podcast, as guests on his show when I was in LA last year. As he was recently playing a Tuesday night here in Northern California, I thought I’d return the favor. A few weeks ago, we grabbed dinner and a chat at the Piazza D’Angelo in Mill Valley before his show. We’ve got a Burst O’ Durst segment in this episode. I always appreciate political comedian and social commentator Will Durst's segments on the show but especially with this year’s Presidential race being so wonky — and publicly embarrassing for Americans with what we’ve got running on both tickets. We also have a call via the SpareMin app with Reverend John Price, a faithful listener who is on the verge of dropping his own soundcast soon. And this whole mess is brought to you by Henderson's Back To S'cool Pants. Where would this show be without Henderson's Pants? 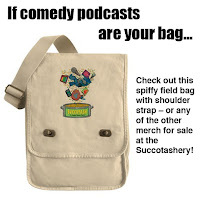 Well, the same place we are, actually, which means we still can use you vigorous use of our Donate button up at our homesite, http://SuccotashShow.com. While you're there, don't be afraid to use the Amazon banner at the top of the page to do you shopping at the world's largest everything store — because we get a little taste of whatever you spend there. And we've got a link on our site to our Succotashery, whould you want to grab a t-shirt, mug or other piece of merch festooned with the Succotash logo! So I’ve contacted our musical director, Scott Carvey, and asked if he’d be able to retool his portion of our theme song to say “soundcast” instead of “podcast”. And our booth announcer, Bill Heywatt, is getting ready to record new intros and outros for the show that reflect that change as well. It’s likely going to take some time to make the switchover and then will come the long, hard road to getting an entire world to change how they think and talk about the medium but what the heck? I’ve got nothing better to do with my time. And, in fact, our friend Dave-In-The-Cave, former co-host of former podcast Taco Tuesday, is about to start his new show, the Thunder Taco Soundcast. More on the soundcast situation as it unfolds. Until next time, thanks for passing the Succotash!